Buy 1 get 1 half off? Fortunately, the Two-toned Lobster now lives in an aquarium for all to gawk at. 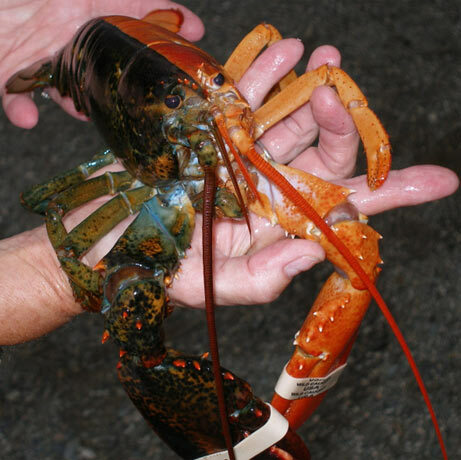 It has been noted that the odds of finding a two-toned lobster is approximately 1 in 50 million. ill take my chances and EAT the whole thing. this 50/50 creepy crawler looks 100% D – LICIOUS!! Man i wouldnt mind sinking my teeth into al nice morsel like him! lol but man thats just one amazing creeper!